• Scanning Electron Microscope (SEM): Zeiss SUPRA55-VP. 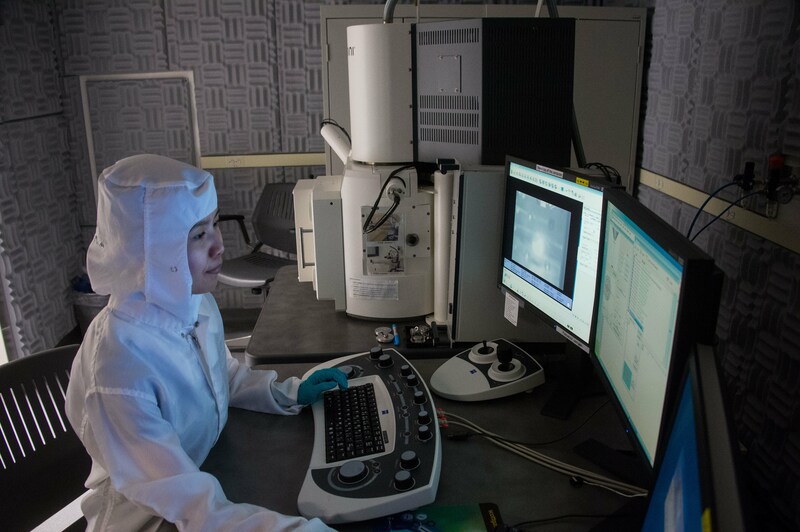 Electron Beam Lithography NPGS with resolutions down to 10s of nanometers. 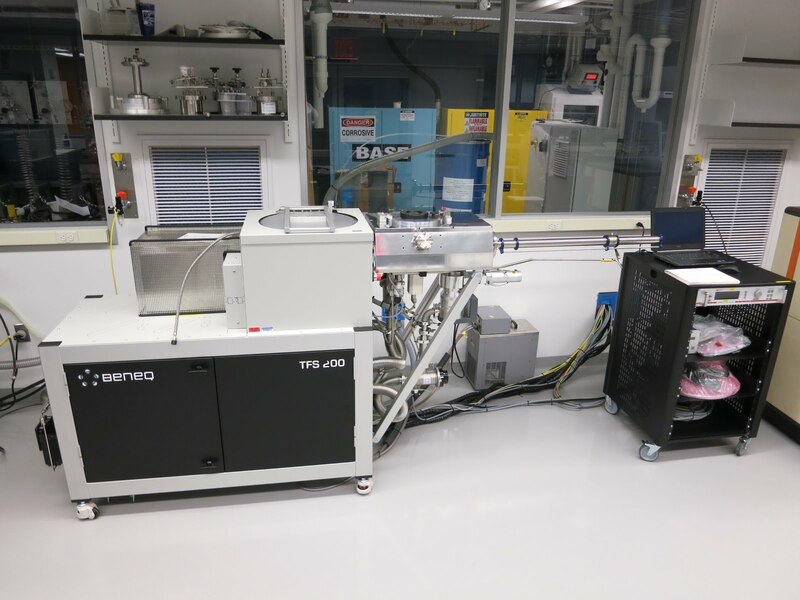 • Atomic Layer Deposition (ALD): Beneq TFS200. Deposition of single-layers of dielectric metal oxides. • High vacuum magnetron sputtering: CVC & Orion-8-UHV. Sputter deposition of thin layers of Au, Ti, Al, Cr, Nb, Pd, Al2O3 etc. • Thermal deposition: Denton DV-502A. Thermal deposition of thin layers of Au, Al etc. • Plasma Enhanced Chemical Vapor Deposition (PECVD): Plasmalab DP80. Deposition of thin layers of SiO2, SiN. • Reactive Ion Etching (RIE): Plasmalab 80 & Plasmalab μP RIE. Allows substrates to be etched in plasma. • Photo mask aligning & exposure: Karl Suss MJB-3. Optical lithography with a resolution down to 2μm. • Energy Dispersive Microanalysis: Oxford Instruments INCA Energy. Allows for the analysis of atomic composition of samples. • K&S wirebonder: Makes electrical connections. • Stylus Film Thickness Profilometer: Dektak 3030. Gives a 2D profile of the substrate via a metallic stylus. • Controlled gas ambient quartz tube furnaces: Lindberg, Thermtek. Chemical Vapor Deposition of carbon nanotubes. • 3 Stack oxidation furnace. Chemical vapor deposition of silicon dioxide layers.